Quality power metal often requires certain boxes to be ticked. Distinct ability to produce soaring vocals, twin guitar leads, anthemic choruses, galloping bass kicks from the drummer. 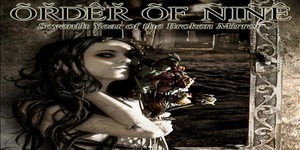 Order of Nine cover most of these criteria in spades as do a lot of other aspiring bands on the power metal scene. What therefore sets them out from the pack? Vocals, more than a shade of Black Sabbath springs to mind here. Perhaps slightly more Ozzy than Dio specifically but vocalist Michael DeGrena on opening and album title track Seventh Year of the Broken Mirror and follow up Words That Were Said perfectly nails the Sabbathesque feel and immediately allows the listener to sense that this is something slightly different. 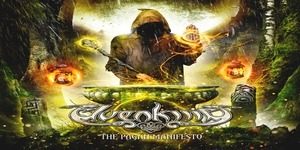 Dreamspeak encapsulates everything good about power metal , thudding drums and bass lines that underpin some great fretwork from Steve Pollick and Mark Kreh and a chorus to die for with the line “I will be the one to catch your fall…..” sitting pretty in memory long after the song has finished. Influences and styles are noted on their Facebook pages as including; Queensryche, Sanctuary, Iced Earth, Dream Theater, Nevermore and Exodus. An interesting mix that shows on Spiral Staircase. The vocals are edgier, the overall sound harder and more akin to Nevermore or Exodus, definitely a more straight ahead metal approach. A mid song break reveals their prog leanings as well before they show a hidden appreciation of Megadeth with the intro to Changing of the Guard. The band have an ability to change pace and style that works well for them and on the aforementioned ‘…Guard’ they drift from fast powerful classic metal to the slow riff driven stylings seen in tracks such as One from Metallica. Innocence sees them back on firm Queensryche territory and a higher vocal range would have seen comparisons to Mindcrime era tracks. Some guttural growls add to the Nevermore approach on Third Wish before a wonderful mix of epic keyboard and guitar work launches standout track Eye of the Enemy. An eight and a half minute epic, Eye of the Enemy gives the whole band a chance to shine. At the mid point of the song, we are treated to a sublime piano break from Chris Dillon that takes the twin guitar approach down so a slower tempo Sabbath does Queensryche styled finale. The final three tracks take the album to a healthy one hour running time and it’s an hour well spent. Twelfth Talisman contains another Mindcime like mid song tempo change where the softer guitar work comes to the fore, Reigndown ramps up the rhythm section of Mark Howard on Bass and Keith Hurka on Drums and album closer Winters Call at only two minutes forty eight is the shortest track here and sees DeGrena in a reflective mood that perfectly brings the listener to a conclusion with the album, the dying seconds fading out to a windy winter’s night. Technically very very competent, the history of the band over the last few years (formed around 2001) shows indeed a group of musicians that have progressed and improved over time. Previous album A Means to Know End enjoyed high positions on the Amazon album chart and the latest is sure to improve on that standing. DeGrena’s voice is unique, unusual, an acquired taste (delete as appropriate) but that adds to their appeal and stops them being lost in a myriad off other power metal bands. Having toured with the likes of Metal Church, Overkill, Fates Warning and Rhapsody of Fire to name a few, they have clearly been exposed to the right market and are likely to get a much greater following on the back of this release. 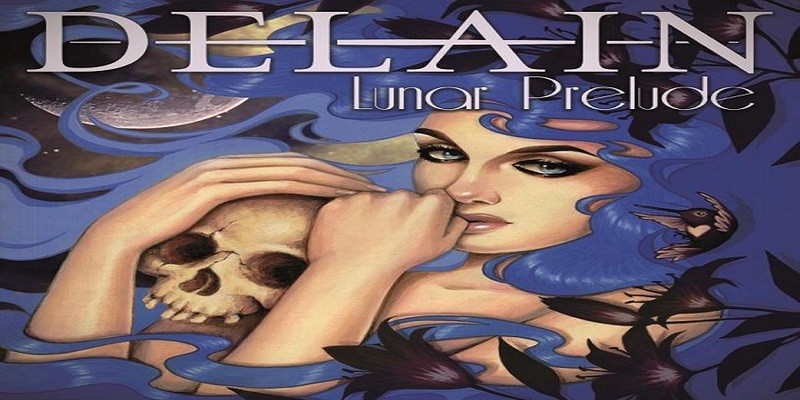 Delain is a name I had been hearing a lot of recently, so when it came up to review their new EP, I leaped at the opportunity.